Countdown to "The Truth About Emanuel" - 5 Days! Home > Jessica Biel News > Movies > The Truth About Emanuel > Countdown to “The Truth About Emanuel” – 5 Days! Yasss!!! It’s rapidly approaching us, “The Truth About Emanuel” will be available on iTunes and On Demand starting November 26th! To celebrate we’ll be doing a post a day to countdown to the films release. Originally filmed in 2012 under the title “Emanuel and the Truth About Fishes” the movie made quick success with it’s premiere at the 2013 Sundance Film Festival. Immediately, Jesse and the film started getting rave reviews. Emanuel and the Truth About Fishes is one of the most unique films you’ll see this year.It’s a dramatic psychological thriller with a powerful secret, captivating from the moment it begins; films of such a high calibre and with such an engaging premise have really been few and far between in recent memory. She’s matched by Jessica Biel- in a performance that, if enough people see it, can be a game changer for her career. Anyone who’s dismissed her as just another pretty face needs to see her as the obviously unbalanced, but vulnerable Linda. Without giving too much away, I’ll just say that Biel’s performance is truly multifaceted, and is far from your typical screen depiction of insanity. 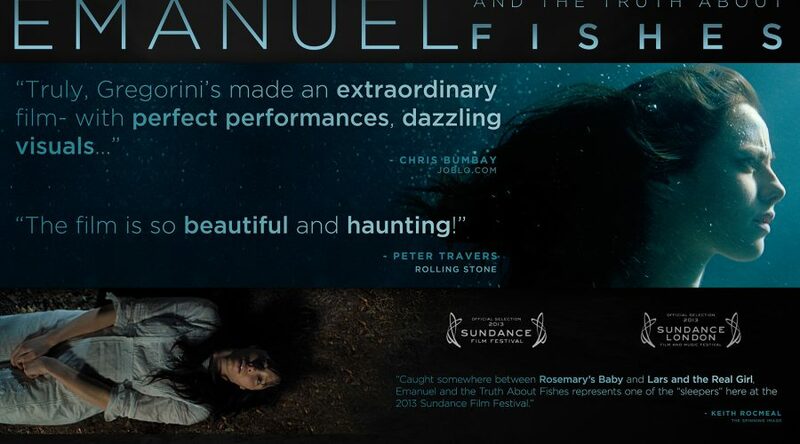 Fearlessly smart, honest and philosophical, Emanuel and the Truth About Fishes is the striking, sometimes breathtakingly beautiful second film from Italian-American writer-director Francesca Gregorini. It marries moments of sweeping surrealism with an earnest, credible exploration of female relationships. I am really excited to hear the fans’ review of the film.. I think Jesse fans are going to have a brand new respect for her talents after this.